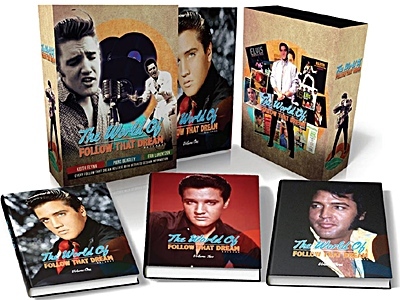 Elvis recordings specialist Keith Flynn has completed a tour-de-force about the FTD label, a 1,200 pages, hardbound three book set, chronicling every release by FTD. The book also features 100s of high-quality photos from the collection Erik Lorentzen - and will be out in time for Christmas. 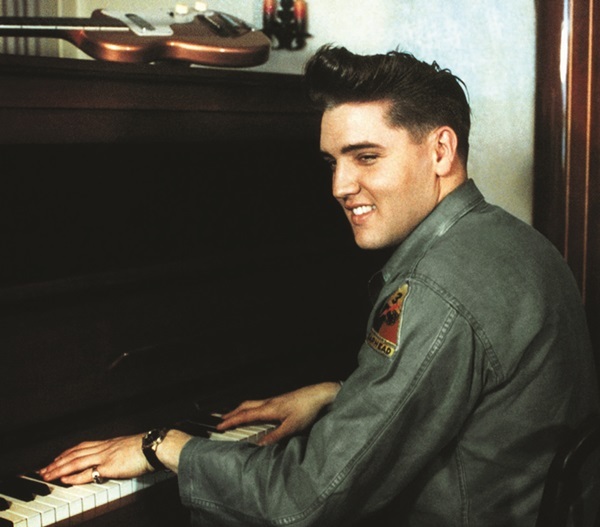 Keith Flynn is well-known to every serious Elvis collector. 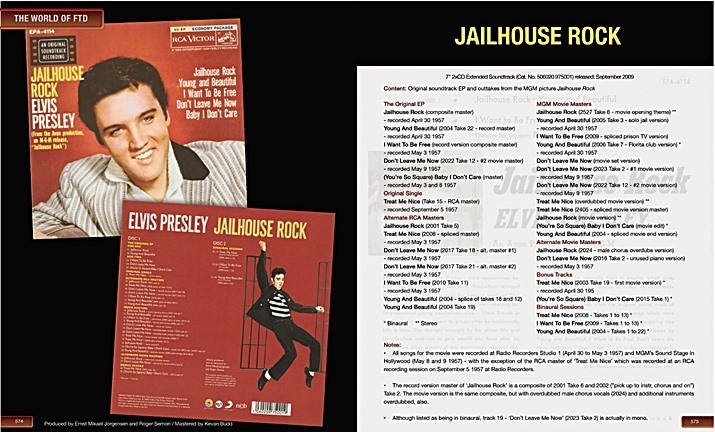 He worked with the FTD label itself and is the font-of-all-knowledge regarding Elvis’ musical legacy and his recordings. 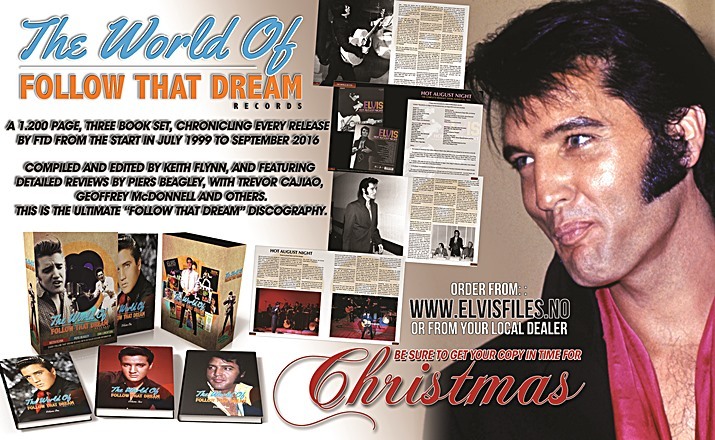 Several Elvis collectors have contacted EIN wanting to know more about the up-coming 'The World Of FTD' publication and Keith Flynn has kindly agreed to answers their questions, as well as some of our own. EIN: Thanks for taking time out to talk about your new book. The first question has to be, is it completely finished and has it gone to the printers yet? Keith Flynn: Thanks Piers, it’s good to be here. Yes, the books are completely finished now and are actually being printed as we speak . EIN: When did you first think about doing a book on the FTD label and how long have you been seriously working on final product? Keith: Well, I have always been a big fan of FTD releases, but I do get tired of seeing the silly little mistakes on some of them. For that reason, I put an FTD discography on my web site a few years ago listing all of the correct track listings, but felt the next logical step forward with that idea was to put all of the information together into book form. It’s ok looking at a web site but I feel there is nothing like actually holding a book in your hands and looking through it. I’ve been putting all of the pages together since last Christmas, so have been working on it for the last ten months using any spare time I have, as I also work full time. It’s been a lot of late nights and jam-packed weekends but I think the hard work I’ve put into it has paid off, especially when seeing the final result. EIN: One of the main questions is, why publish the book now when there may be only a few years left in the FTD label? Keith: I have been thinking about the concept for so long and although some fans were considering that FTD might finish in 2017, the 40th Anniversary of Elvis’ death, it now looks as though there could still be quite a few FTD releases to go - especially soundboard, book and vinyl releases. 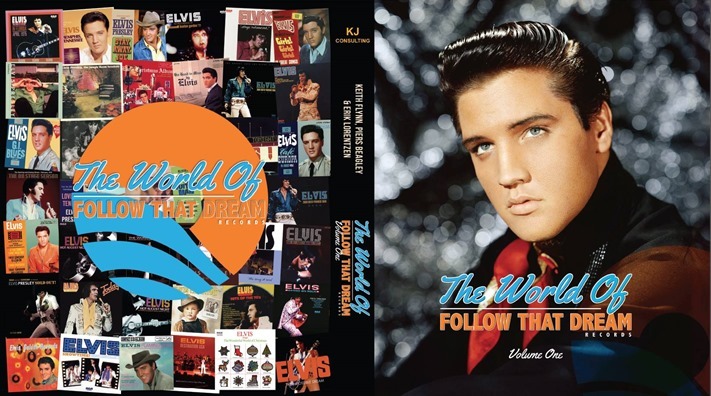 Right now FTD collectors are still excited about possible future releases and I wanted this book to be a celebration of something still alive and essential to keen Elvis collectors. EIN: How many years do you think FTD will keep going for and will you publish a follow-up volume to complete the set? Keith: I personally think the FTD label has another three or four years - hopefully longer - to go, so yes I do think there will be a Volume 4 in this set of books at some point. EIN: Why use September 2016 as the cut-off point for the book? 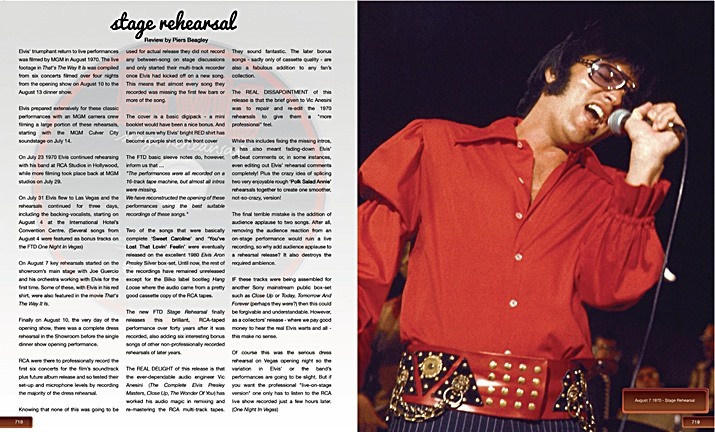 Keith: There had to be a cut-off point sometime Piers, and while I was aware of the up-coming Elvis’ Gold Records Volume 4, I realised that it was going to be delayed and also contain a not quite as exciting a track-listing as it could have been. It also worked out exactly at the right amount of pages that were needed for the three volumes, so September was just the perfect timing for me to have the set finished for an end-of-year publication. 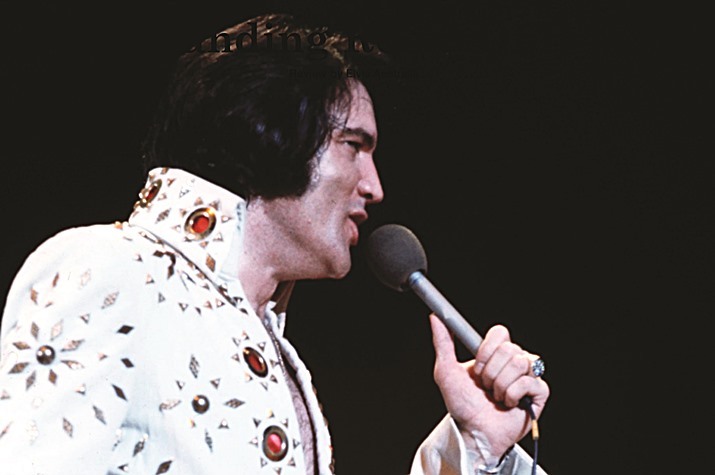 EIN: The Ultimate Elvis three-book set was more of a collaborative effort, is this book all your own creation? 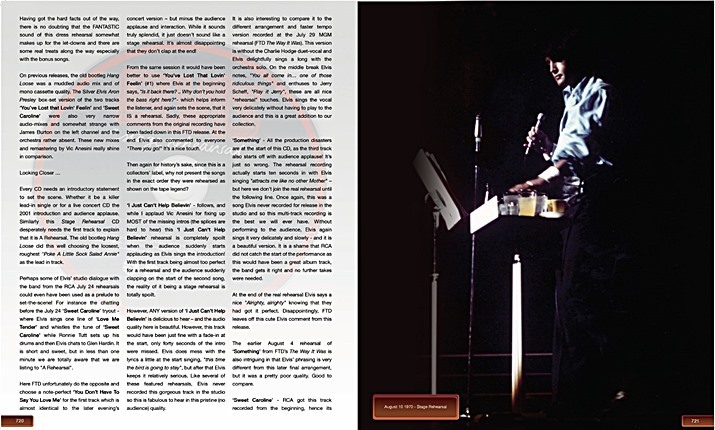 Keith: While Erik (Lorentzen) is heavily involved in most of his publications, such as The Elvis Files, this time the book was my creation and concept. I did all of the layout and design and decided what text needed to be included. I got plenty of help though - not only by people such as yourself, who have provided the majority of the reviews in the books, but also Gordon Minto in proof-reading the final set of books. Erik, of course, has provided all of the photos I needed from his truly phenomenal collection, some never seen before, and he is also publishing the books. EIN: Exactly how many releases have FTD published, and could they not all be fitted into one book? Keith: As of September, there have been 63 five-inch digipack releases, 73 seven-inch classic album and extended soundtrack releases, 27 vinyl releases, 24 books and a sampler CD. That’s a total of 189 releases. As Erik wanted me to include photos in the books alongside the text, I would never have fitted all of the information into just one book. It all may have fitted into two books, but by the time I had all of the pages done, it had escalated to just over 1,200 pages, so it was decided to make it a three-book set of 400 pages each. EIN: Fans always wonder whether the two “Frame By Frame” books were FTD releases, as they do not have the FTD logo on them? 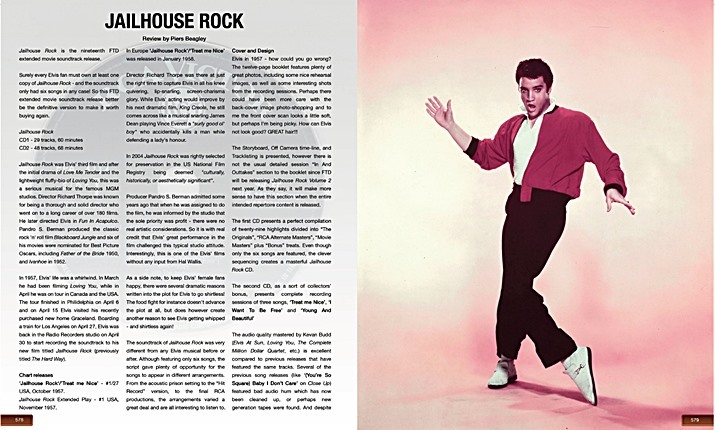 Keith: Both the Jailhouse Rock and King Creole “Frame by Frame” books were not strictly FTD productions as such. Originally they were conceived by Erik Lorentzen and Pål Granlund, but as they went into production FTD decided to become involved. By that time however, they had already gone to the printers without the FTD logo, although the books were distributed by FTD and they are numbers 201 and 202 in their own catalogue. Of course Pål Granlund and Flaming Star then became the major co-publisher of FTD books and still are. EIN: As a matter of interest, what are your favourite FTD books? Haven’t they changed since those first few slim volumes! Keith: Yes, they have changed a lot since the likes of The Way It Was and Flashback! And I think for the better too. I don’t have one particular favourite FTD book, but I have to admit I love all of the books David English has been involved with - the sheer attention to detail in them all is staggering. I have helped David in small ways, on some of his books too. It’s great to see Paul Richardson is involved with David now too, and I know they have some great stuff to share with fans in the future. EIN: So what exactly will fans find in the three books? Keith: I obviously wanted to show the covers of the releases, and the best way for me to do that was to show them on a full-page, with the corrected track listing on the opposite page, along with some notes about the release. I didn’t think that showing the covers the size of postage stamps would do them justice. I also wanted to include the most detailed and informative review about the releases from their time of publication. Something to remind fans what was so exciting about every release when it first came out. 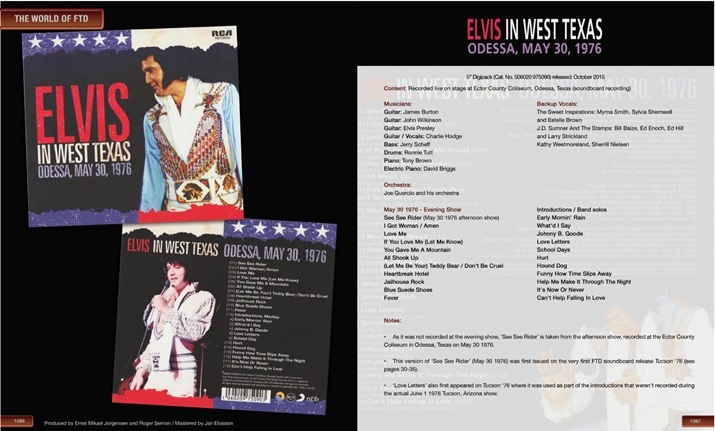 The never-before released songs, hearing Elvis’ studio discussions for the first time, fabulous audio improvement over those old bootlegs we might have owned, you know, stuff like that. There are over fifteen reviewers I contacted personally for use of their articles in the books, including well-known experts such as Trevor Cajiao, Gordon Minto, Geoffrey McDonnell and Paul Richardson. Now of course we have 300-page FTD books, and classic albums with booklets and essays, but at the start it was so exciting just to get a 24-track basic digipack! EIN: Isn’t most of the FTD information in the book available on-line? Keith: To be honest, certainly a good portion can be tracked down on the Internet if you have the time and energy, but by no means all of it. There is a lot of time I have put into examining the details of each release and of course the relevant photos that go with the release are new. I wanted this to be a real celebration of the FTD label, not a nit-picking exercise, and as we all know, websites and information come and go, whereas this is a really tactile and beautiful set of books. EIN: Were any of the articles written especially for the book? Keith: Yes, I did some of the reviews myself, and you of course have provided some that you didn’t have up on EIN. I found that over the years some FTD releases were never properly reviewed, while some only had very skimpy articles written about them and which needed expanding - or deserved a more thorough review. EIN: I am always surprised by the number mini slip-ups that happen with some of the FTD releases. Doesn’t Ernst ever get you to check the track lists or details before publication? Keith: I’ve said to Ernst on countless occasions that I would look over the details etc., before the releases are pressed, and he always says he’ll hold me to my word, but I don’t think Ernst likes to put-on people, and it’s never gone any further than that! EIN: What has been your major contribution to the FTD label? Keith: I wouldn’t say I’ve had any major contributions to the FTD label, although I do help David (English) out in the background of some releases, checking audio etc. That said; it was nice to get a credit in Summer Of ’61 for providing them with my re-created stereo master of ‘A Whistling Tune’ (from Follow That Dream). EIN: Did you ever discuss the book with Ernst Jorgensen or Roger Semon? Keith: Although we correspond regularly, I’ve never brought up the subject about this book to Ernst, as he’s so busy with other things. It would have been great if he could have been involved in some way, but I just didn’t like to ask. 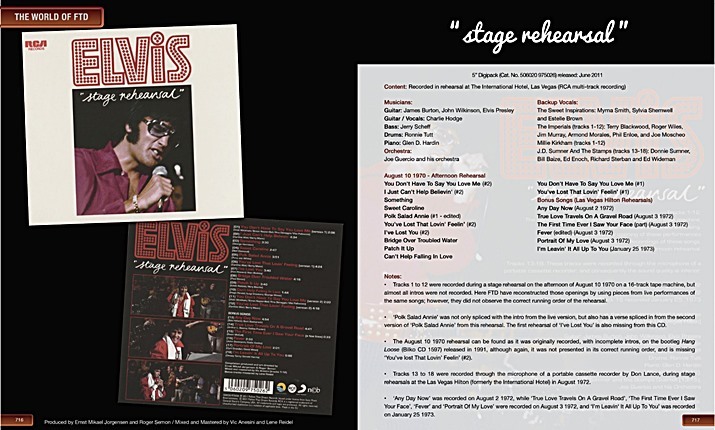 I know that fans do discuss whether Ernst might eventually publish a book about the FTD label, but I truly do not see him having enough time in the current environment of on-going Elvis releases, as I know how much time and energy it took to get this book finished. Ernst talked for a decade about his Tupelo book before he finally found the time to finish it, and Roger Semon discussed setting up an official FTD website back in 2002, which still hasn’t come to fruition. EIN: Have you had any reaction from them regarding the book? Keith: No I’ve heard nothing from them, but as I said, I know they’re both really busy with other things. EIN: Who do you think is the target audience for the book as it will be an expensive purchase for some fans? Keith: When I first discussed this project with Erik I realised that it would be for a limited market. Of course the FTD label itself was created for a particular market only sold through fan clubs and the like, and not on the general market. 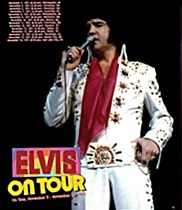 I think the book will appeal to the hard-core FTD collectors, fans of Elvis sessions information, the kind of fan who frequents Elvis discussion boards and fans of Elvis photo books. 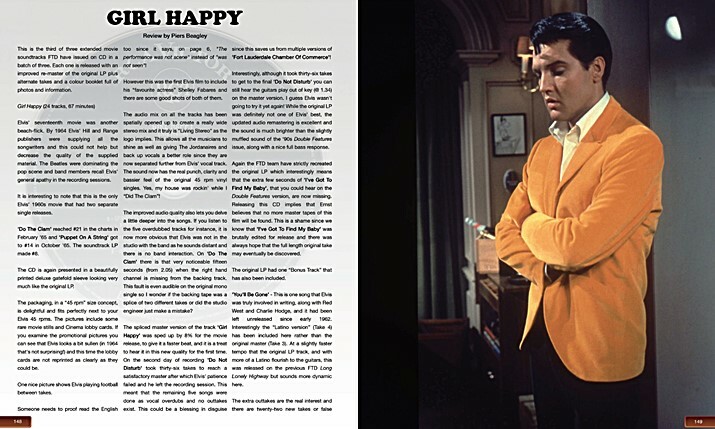 Of course this is not a general overview / biography of Elvis’ life in the way The Elvis Files series was, this is for serious Elvis collectors and so is a limited publication. Once it sells out that will be it. EIN: Will there be a cheaper E-version of the book? Keith: No, there will be no E-version of this book. 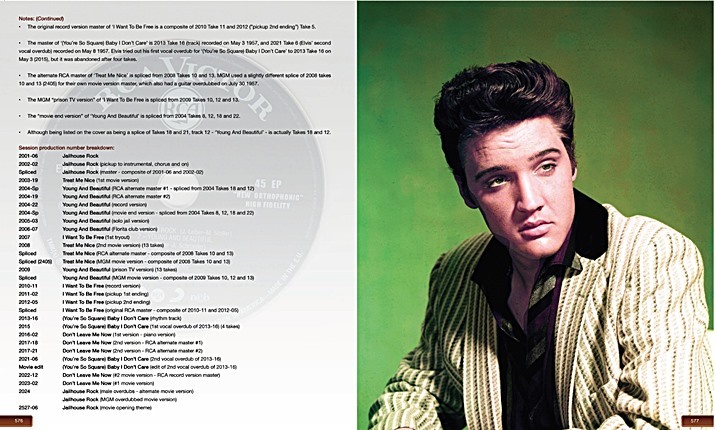 I created an E-version of my previous book Ultimate Elvis as, after a while, I realised that pages could be updated if more information was discovered. 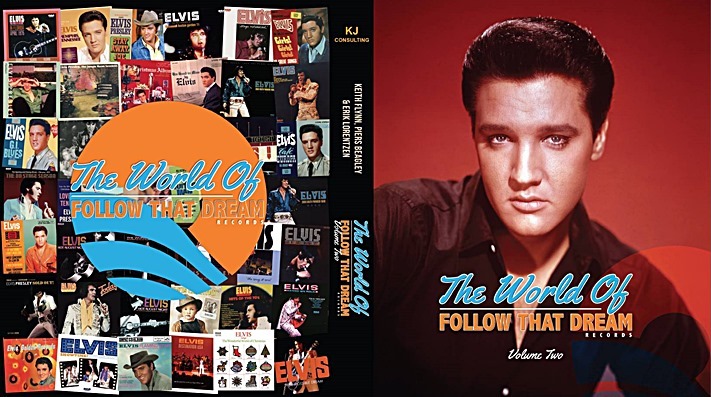 The World Of FTD however is a deluxe hard-back celebration of what has already been published, so there is no need for updates. EIN: What do you think fans will really enjoy about the books? Keith: Hopefully fans will discover something new about each FTD release. There’s plenty of information about each release along with some excellent photos chosen to go with each FTD. Some photos are real stunners. 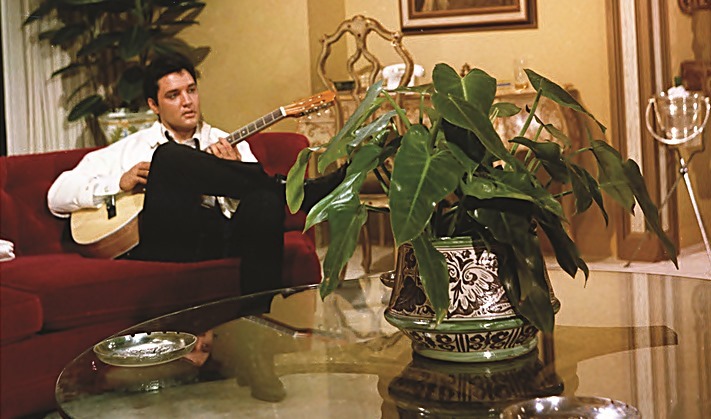 Elvis of course looked so good for most of his career that fans should be able to get even more out of each FTD release. 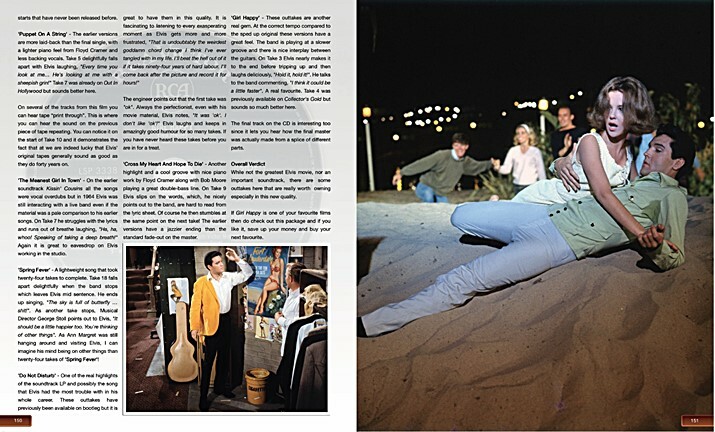 Spin the CD, check my overview, read the review, use it as an easy- reference, pore over the photos … The book is also a very good reason to re-visit and to enjoy the FTD back-catalogue. I don’t think it will be a set that fans leave on a shelf like some of the other rather flimsy Elvis photos books. EIN: How many photos from Erik’s collection are included in the book, and how did you choose them? Some FTDs such as the recent Hometown Shows release didn’t even include photos from the concerts included on the CD! 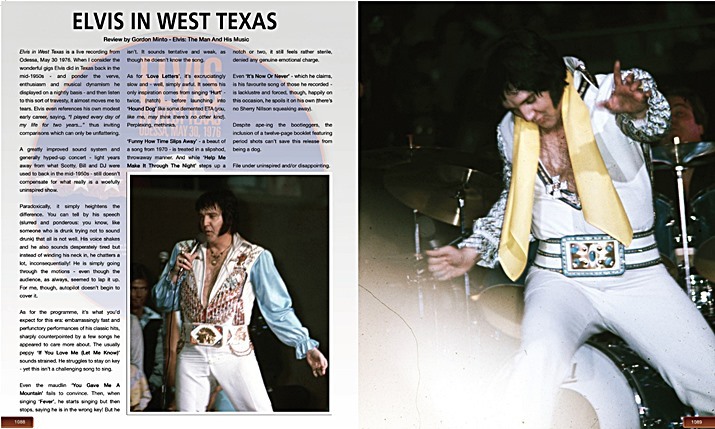 The book is a chance for me to rectify that as well as include additional photos from Elvis’ performances as well as including some amazing full-page photos of Elvis in a better quality. EIN: What are you most proud of with the final product? Keith: Just seeing everything finally done and all in order in the books is amazing for me, and seeing the quality of the printed pages is incredible. 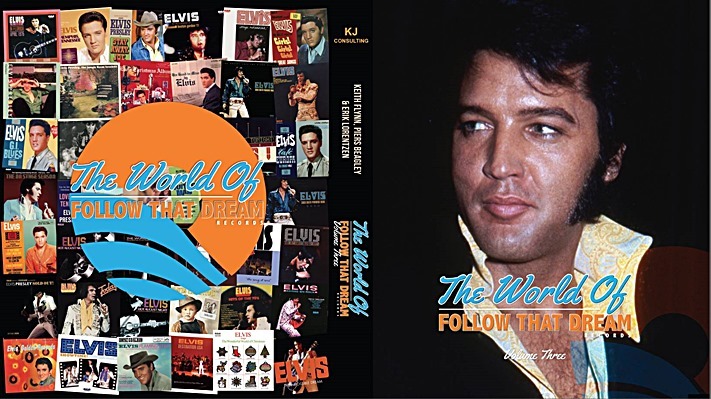 It is such a great set of books to look at and read, and I’m sure most people will love it, although there will be some, as always in the Elvis world, who will loathe it even without seeing it! EIN: I have been lucky enough to see a few pages while you and I were working on how some of my interviews might fit the book but those pages are stunning. Thanks for all the answers as well as the preview pages and good luck with everything. 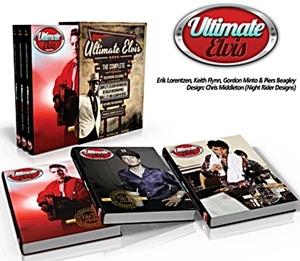 - 'Ultimate Elvis' Book Review: 'Ultimate Elvis – The Complete And Definitive Recording Sessions' is a this three-volume, deluxe set that not only comprises all the session information available to date, based on Keith Flynn's incomparable website and includes comprehensive notes on each session, discographies, letters, original sheet music covers plus huge index all included in its 1,800 pages. The book includes around 3,000 stunning high-quality photographs many of them previously unseen, relating to the time period in question. The promotional publicity for this three-volume set was very impressive with the original publishing date of August 2014 missed as more photographs were discovered and the content expanded. 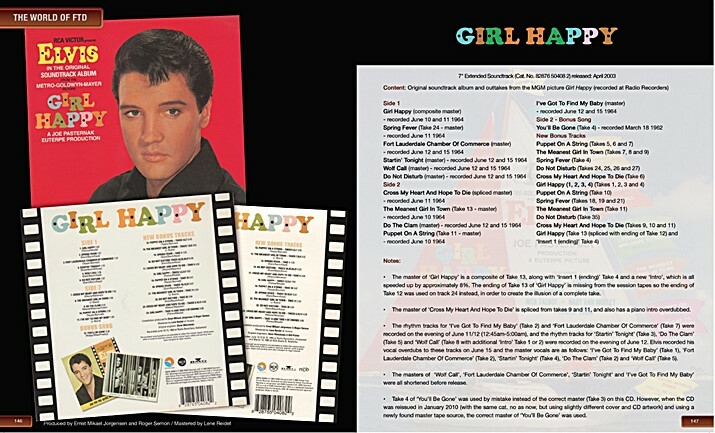 Finally published in December 2014, Elvis enthusiast Brian Quinn checks out this astounding deluxe package to discover if it is as good as promised.